Here you will find articles to help you make the most of this forum. Post any tutorials or pen instruction here. Share your penturner related DIY solutions and jigs here. Post your beginner pen turning questions here. This area is for all advanced pen making posts and advice. Discussions on importing products. Questions, advice and maybe some answers. Here you may discuss anything as long as it is not political or religious in nature. If you have a web site, blog with your pens on, please post a link here. Place any links here for interesting pen sites you may know of or have stumbled onto. 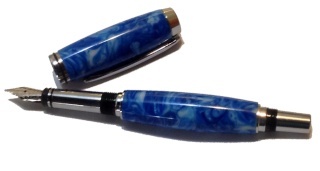 Links to pen turning associations, clubs and forums.